About Genox and Japan Institute for the Control of Aging (JaICA): Leading the way in Oxidative Stress Research. Anti-aging medicine, sports nutrition, disease prevention, mibyo-diagnosis, antioxidant supplements. As an organization dedicated to health, we will strive to ensure the health of people worldwide. We will contribute to promoting the health of all people worldwide. We will provide safe, high-quality, and valuable products and services based on our daily research and efforts. We will conduct fair transactions, respect ethics, and comply with laws and regulations in order to be a reliable enterprise. We will perform sound management and develop as an enterprise contributing to health promotion. We will effectively utilize resources and contribute to creating a healthy society while assuring harmony with the local community and natural environment. We will always endeavor to improve ourselves and perform our tasks to the best of our ability and will assure full responsibility. We will share the philosophy "health contribution" and our objectives and explore the future with a spirit of creation and innovation. Genox Corporation, located in Torrance, California, is a subsidiary of NIKKEN SEIL, Co. Ltd., Japan. The products offered by us are made in Japan either by our parent company, at the Japan Institute for the Control of Aging (JaICA), a division of Nikken SEIL Co., Ltd. or by our business partner, at the Life Science Products Division of the Nippon Oils and Fats Corporation, Japan. Genox is the distributor of these products for users in North and South America. Our main line of business is in the Development of Novel Oxidative Stress Biomarkers for the Advancement of Basic and Applied Research Related to the Mechanism of Aging and to Understand the Role of Oxidative Stress in Biology and Medicine. The company was organized in October 1991 as a Minnesota Corporation by a small group of investors, along with Dr. Richard G. Cutler. Dr. Cutler is a well-known scientist in the field of molecular gerontology. Prior to founding Genox, Dr. Cutler spent 18 years as a research chemist at the National Institute on Aging (NIA) of the National Institutes of Health (NIH). In 1994 Genox moved its business location from Minneapolis, MN, to Baltimore, MD, and in 2018 sunsequently moved to Torrance, CA. During the past decade Genox has served the scientific community by providing to researchers products and analytical testing services for the measurement of biomarkers that indicate oxidative stress levels. It is our mission to be of service to the scientific community by developing fast, accurate, useful, and cost-effective oxidative stress related products so that the basic and applied research in this field can progress at a faster pace. 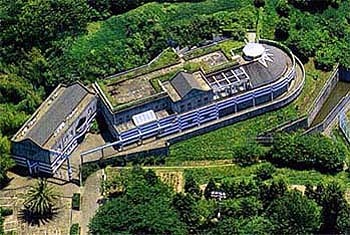 Company name: Japan Institute for the Control of Aging (JaICA), Nikken SEIL Co., Ltd. The Japan Institute for the Control of Aging has conducted research into control of aging since its foundation under the doctrine of contributing health promotion. As a result, the institute succeeded in developing a DNA oxidative damage measuring kit, thus taking the lead for this field. The institute now sells many products related to oxidative stress, and such products are utilized in the fields of medicine, pharmacy, biochemistry, food sciences, etc. The institute also performs assay services utilizing its unique technologies. Preventive medicine and anti-aging are receiving increased attention with the advancement of aging society. In these areas, our Institute will contribute to realizing a healthy, long-lived society by developing and supplying research products. 1985 Founded the Japan Institute for the Control of Aging. 1986 Organized seminars on comfortable aging. 1990 Released oxidized DNA, 8-OHdG ELISA kit. 1991 Have funded Genox Corporation in Minnesota. 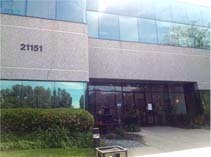 1996 Have opened Genox Baltimore office. 1998 Initiate the assay service as a registered sanitation inspection institute. 2000 Registered as a satellite center of the Trace Element Institute for UNESCO. 2003 Released oxidized lipid, HEL ELISA kit. 2008 Have patents for antioxidant assay kit PAO. 2012 Released oxidized protein Dityrosine ELISA kit. 2012 Have started radiation testing service. 2013 Received ISO/IEC 17025 certification (radioactivity testing). 2018 Have opened Genox LosAngeles office. Develop, manufacture and sell biomarkers used for measuring oxidative stress and antioxidants. Assay services using biomarkers, such as urine and blood sampling tests and food antioxidant assays. The Japan Institute for the Control of Aging is engaged in the kit reagent business and assay service business. In the kit reagent business, our Institute develops, manufactures, and sells research reagents used for measuring oxidative stress markers. In addition, our Institute's monoclonal antibodies and ELISA kits used for detecting products of oxidative damage caused by reactive oxygen species are highly evaluated by customers worldwide. The 8-OHdG Check (8-OHdG ELISA kit), the main product of the Institute, was awarded the Ikeda Special Prize of the Innovation Grand Prix in 1999 and a prize from the Minister of Science and Technology Agency in 2000. In the assay service business, we conduct sample testing on urine and blood and perform antioxidant assays on foods based on the products we have developed and the analysis skills we have accumulated over many years. Interest in preventive medicine, anti-aging, and functional foods has increased in recent years. As a result, there have been growing number of requests from hospitals, universities, research institutes, food manufacturers, and medicine manufacturers all over Japan to analyze oxidative stress markers, aging-related hormones, and minerals. ISO/IEC 17025 is the most important standard for calibration and testing laboratories, which has many commonalities with ISO 9001: 2000 standard, but is more specific in requirements for competence. NOTICE: We have been receiving huge number of spam mails and DDos attacks, and e-mails from some domains may be rejected by our server. If your e-mails can't be sent correctly, please try to contact us by FAX. Thank you very much for your understanding. 1) From Tokyo: Kakegawa sta. by Shinkansen(Kodama), and transfer to JR local train to reach Fukuroi sta. (total 2.5 hours). 2) From Nagoya/Osaka: Hamamatsu sta. by Shinkansen(Kodama), and transfer to JR local train (total 1.5 / 3 hours). About 20 minutes drive by taxi from Fukuroi sta. of JR local train. Link to our web site will be allowed, but please avoid direct link to each product's page. Citation will be allowed if the resource is written clealy as "Genox corporation". If you are planning to use pictures, figuares or sentences presented at our we site, written permission will be needed.